Bring the kids to make a craft ornament, have some hot coco and soup! 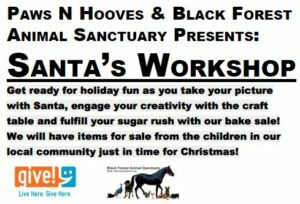 Get your photo taken with Santa, Pet photos too. Let our volunteers wrap your gifts (donations), sweets, silent auction gifts, yummies.